Hi Guys, Here Is A Big OFFER For You. 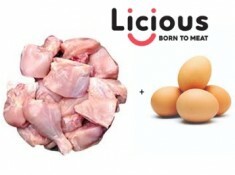 Order 24 Eggs From Licious For Just Rs. 34 After Getting Flat Rs.200 FKM Cashback [Including Shipping] + Pay with Amazon Pay. Hurry !! Grab This Exclusive Offer Now !! Use New Mobile Numbers To Create New Accounts. Note - FKM Cashback Of Rs. 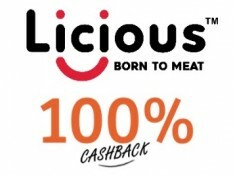 200 Is Valid Only For New Users Of Licious. 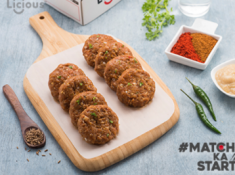 How To Order 24 Classic Eggs at Just Rs.34 [With Shipping]?? The ultimate breakfast club inductee. Classic white shelled eggs with a pale yellow yolk laid naturally by healthy chickens for a flavour boost to any meal. The humane raising of our chickens and natural processing conditions, impart a richer and more sharp-tasting flavour to our eggs. mobina1990 no cashback for order Your Licious order is succesfully placed! Order ID is ju6auv9a. geluliti Raise Missing Cashback Request From Cashback Summary Section !! coolpul I have already availed 2 times, can I still avail this offer? 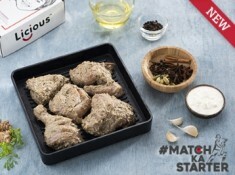 geluliti Yes In A Month You Can Avail This Offer 3 Times But Make Sure You Use New Licious Accounts !! geluliti Hi There, If You have Not Received Cashback, Please Raise Missing Cashback !! geluliti Raise Missing Cashback Request !! Your Cashback Will Be Processed !! geluliti Check Your Pending Cashback Section !! You Can Also Put Missing If Your Order Is Not Tracked !! No issues !! geluliti New Licious Account Needed !! shwetul my cashback is not tracked....what to do?? geluliti No Issues Buddy !! Missing Dal dena ! !